The 13th Annual San Diego Restaurant Week returns Sunday, September 24th through Sunday, October 1st with a FEAST for the senses at over 180 participating restaurants. Dine deliciously at restaurants offering prix-fixe menu options throughout San Diego County. This foodie-favorited week is the perfect time to take a culinary tour throughout the diverse and thriving food culture of San Diego. For one week only, over 180 participating restaurants will offer three-course prix-fixe dinner menus for $20, $30, $40 or $50 per person and/or two-course prix-fixe lunch menus for $10, $15 or $20 per person. 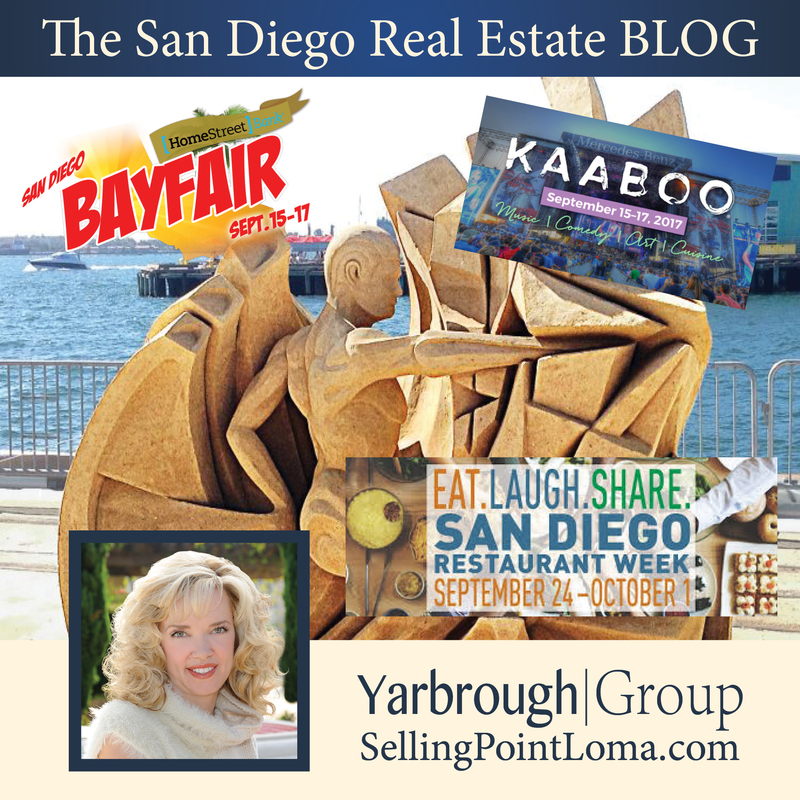 The participating restaurants span across the county from the South Bay to East County and to the borders of Oceanside and Fallbrook to the North and touch on all cuisine types and cravings. Reconnect with your friends and family over scrumptious courses and good conversation. Treat yourself to an experience that extends far beyond the dinner plate as delicious food sets the scene to eat, laugh, and share! From appetizer, to entrée, dessert and libations, life is delicious during San Diego Restaurant Week! Open til 7:00pm on Sat. and Sun. One of the top 20 “Must See” seaside festivals in the world according to American Express and USA Today’s 10 Best, the U.S. 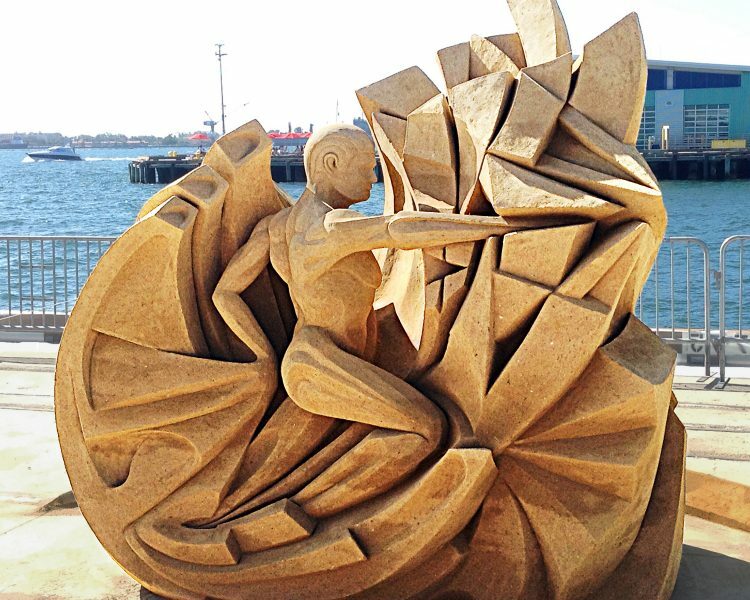 Sand Sculpting Challenge and Dimensional Art Exposition will return to San Diego’s downtown waterfront for 2017. This will be the sixth year that one of the world’s most important sand-sculpting competitions will be held on this built-for-the-occasion beach, with over 300 tons of sand dumped on the pier on San Diego’s Big Bay. The 6th annual edition will be open to the public Sept. 1 – 4. The Port of San Diego is again Presenting Sponsor, as the event is held on its beautiful Broadway Pier and Landing. So come and celebrate Labor Day on the Bay with us. Top sculptors from all over the world challenge the best in the U.S. for $60,000 in appearance and prize money, and of course, their national pride. World Masters come from places like Russia, the Netherlands, Ireland, Italy, Singapore and more, as well as all over the USA, to compete for individual honors. Many more of California’s best compete in 3-person teams. All sculptors come by invitation only. In addition to witnessing one of the most important sand sculpture competitions in the world, patrons will see and be able to buy over 1,000 one-of-a-kind works of art, enjoy live entertainment from bands paying tribute to the Beatles, Beach Boys, Dylan, Journey and other greats – even a special appearance by Elvis. They can picnic on the Bay with food and drink from over a dozen gourmet food trucks and a wine and beer garden. Their kids can play in a huge sandbox (what else?) and enjoy rides and free activities in the expanded Arts for Learning/San Diego Kids Zone, sponsored by MTS. Generation after generation, moms and dads have taken their kids to the beach and built castles in the sand. So though no one has to take off their shoes because this sand (300 tons of it) is on a pier, everyone can relate to the incredible sculptures that are the ultimate iteration of the art, and enjoy the many other activities that make this a family-friendly extravaganza for guests of all ages. 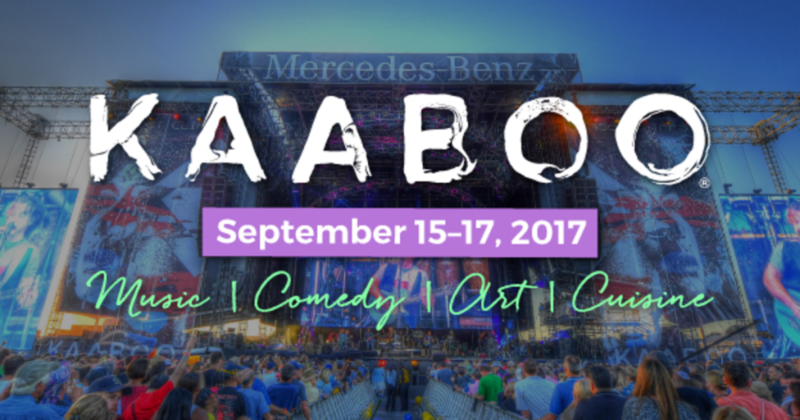 KAABOO® is three days of fun, packed full with memories and it has all of the makings of a comfortable event. We have plenty of shade and seating, all restrooms are clean with flushable toilets (no porta-potties), and there is no dirt, dust or mud to fight through just to have a good time. Enjoy the world-class music, hilarious comedy, incredible cuisine, craft libations, inspiring contemporary art, and personal indulgences. Get ready for this journey of discovery! Are you looking for the ultimate KAABOO experience? KAABOO’s HANG FIVE and HANG TEN Programs elevate your already impressive experience to an unimagined level. Enjoy a variety of contemporary public art installations by internationally known mural artists, some in place when you arrive and others created live onsite during the event. Also, take a stroll through our indoor contemporary art fair. Sometimes you’re not ready to shut it down. Stay for Encore, KAABOO’s late-night dance party. Encore is reserved for guests 18 years and older. Bask in our sandy beach area that offers premium cabanas and day passes available. Enjoy a direct stage view with a pool and an exclusive bar. Bask requires an additional pass that can be purchased on the KAABOO website. Indulgences is an indoor spa and relaxation zone. Enjoy a massage, blow-dry bar and more, along with an exciting boutique shopping experience. Try Posh Nosh, our upscale food plaza that offers healthy, flavorful fare in a shaded area with plentiful seating. 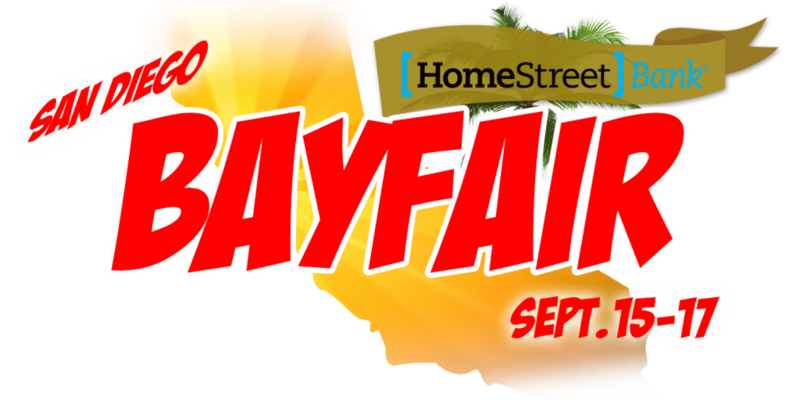 San Diego Bayfair’s World Series of Powerboat Racing – a family festival tradition for more than 40 years speeds to the finish line. The 2.5-mile racecourse, which was named after the late Bill Muncey, is the longest and fastest racecourse on the H1 Unlimited hydroplane circuit. Driver Dave Villwock set the World Lap Speed Record of 173.384 mph in 1999 at Bayfair. Villwock has won a record nine Bill Muncey Cups, including his first ever Unlimited hydroplane race victory on the waters of Mission Bay. $10 a day on Crown Point and there are free shuttle buses to take visitors to East Vacation Island/Ski Beach and Fiesta Island. No in and out privileges allowed. $30 for three days on Crown Point. Free shuttle buses will take visitors to East Vacation Island and Fiesta Island. In and out privileges allowed. $10 a day on Fiesta Island. Free shuttle buses will take visitors to East Vacation Island and Crown Point. No in and out privileges allowed. $20 a day and walk across to the main event site. Parking spaces are available west of Ingraham Street on Vacation Island. Parking is limited and on first-come, first-served basis. No in and out privileges allowed. $150 for three days. Parking on East Vacation Island/Ski Beach. Spaces are limited. In and out privileges are allowed. Shuttle to run as follows: Fiesta Island, East Vacation Island, Crown Point. Shuttles to run every 15 minutes in a continuous circle.